Individuals working in the IT or tech industry are typically extremely computer savvy and comfortable with working with an array of software programs and suites. Therefore it is often no surprise that an IT worker’s first inclination is to Google for ways that he she can complete his or her yearly tax filing and payment obligation. 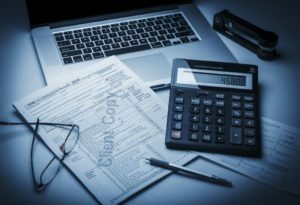 Furthermore, it is also not typically surprising for individuals in this industry to consider utilizing one of the many software or online-based tax preparation solutions. While these software programs can be effective for some, they do raise some serious concerns. At US Tax Help, accountant Ted Kleinman is experienced in handling taxes for an array of circumstances and situations. Mr. Kleinman has more than 30 years of experience working as a Certified Public Accountant. He will personally handle your tax concerns regarding your personal finances or business interests. To schedule a “no cost” review of your concerns schedule an appointment or contact US Tax Help online. First, these programs are designed and programmed to handle many of the most common use cases. However, if you have unique aspects of your taxes, finances, or business interests the software may or may not account for your particular situation. Therefore, you may or may not receive the most advantageous handling of your taxes. In other situations, the software may fail to adequately or properly address your tax situation and open the door to an increased chance of an audit. 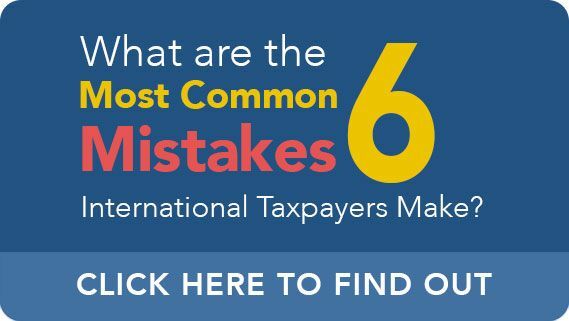 Furthermore, the success of these programs are largely premised on your own understanding and familiarity with the functioning and vocabulary of the US Tax Code. While many of these programs have developed FAQs and searchable databases, the information is often difficult to find and reliant on your ability to search for the right terms. Furthermore, the information you do find does not provide a personalized solution but rather only provides generalized advice. Does it Matter if I’m a Contractor or an Employee? Yes, your status as either a contractor or an employee plays a significant role in filing your taxes and whether you can expect to receive a refund or owe the IRS money on your taxes. If you are an employee, you will receive a W-2 to report your annual income from that employer. In these circumstances, your employer will pay a portion of your Social Security and Medicaid taxes. If you are a contractor, you will receive a 1099 report that states your income. If you are a contractor and receive a 1099, your employer will not contribute to your payroll taxes. This is your responsibility. Furthermore, depending on your circumstances, you may also be required to file and pay quarterly taxes or pay a penalty. Am I Required to File U.S. Taxes if I’m Working for a Tech Company on an H-1B Visa? Individuals who are working in the United States and generally required to pay U.S. taxes. However, the duration of your stay in the U.S. can affect your tax status. For instance, if you came to the U.S. last year and spent more than 183 in the country you are considered a dual-status alien for tax purposes. On one hand, you are considered a resident for tax purposes because you satisfied the substantial presence test by being in the U.S. for at least 183 days. However, for part of the year where you did not reside in the United States, you are considered a non-resident. Thus, you must file a dual-status return. The dual status return must, typically, be identified by an individual taxpayer identification number (ITIN). 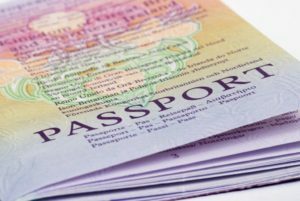 Individuals working on a visa like an H-1B who were not present in another nation, are typically considered resident aliens for tax purposes. Since resident and non-resident aliens receive significantly different tax treatment, it is often essential that you seek the guidance of an experienced tax professional. Ted Kleinman of US Tax Help is an accountant with more than 30 years of experience assisting individuals and businesses with their tax concerns. If you are an IT worker, think about your options before you consider using one-size-fits-all tax preparation software. Ted Kleinman can provide personalized guidance so that you not only maximize your tax return but also only take well-supported positions so as to minimize your audit risk. And should you face a random audit, you’ll only have to defend sound tax positions. To schedule a free tax consultation at US Tax Help schedule an appointment or Ted Kleinman online today.